We hosted 166 guests (including 10 new ones) at our busy community center on a very sunny St. Patrick’s Day. Chef Melody and her team of 55 volunteers made baked chicken, egg salad, vegetables, salads and sweets. We had groups of young volunteers from the Cerritos Girls Club, Carson High School and CSULB. As usual, many clients asked for bus passes to help them get to and from their medical and other appointments. We also helped a client by paying a portion of his phone bill. Our cell phone representative was on-site to help clients secure cell phones. 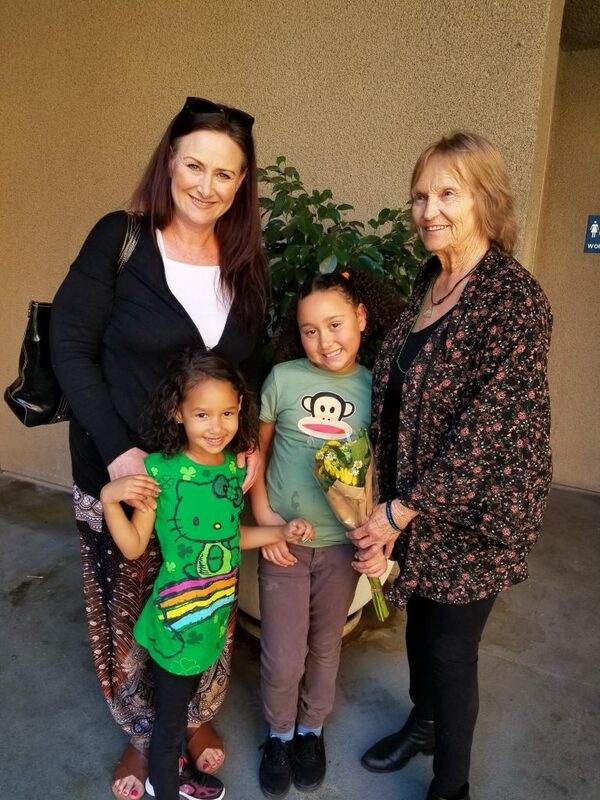 Utilizing funds provided by the Long Beach Community Foundation, we gave additional motel nights to a mother and her four children in order to allow her to prepare and retrieve documents for her interview with Catholic Charities this week. The mother and children came to the center calmer and more engaged as a result of their week in a motel. Long Beach Community Foundation funds were also used to help give a two-night motel stay to a 65 year-old gentleman who had received an epidural for his back pain. 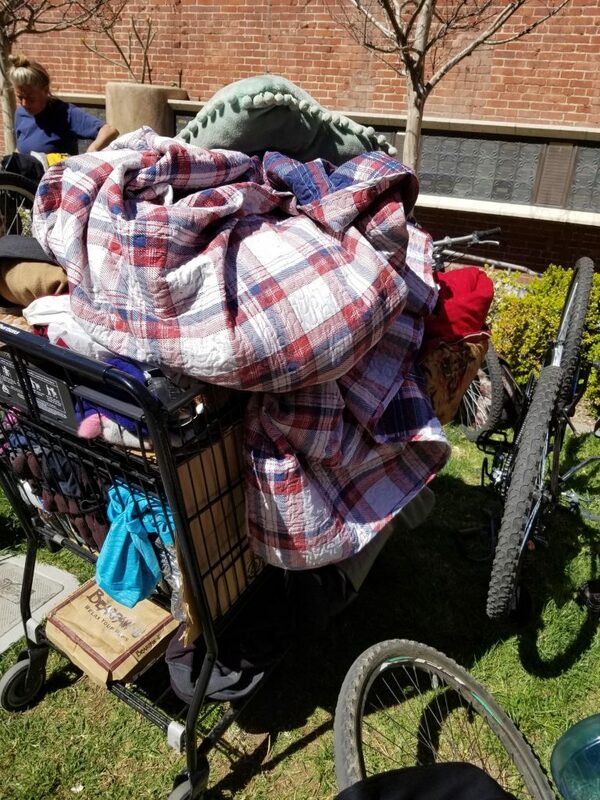 He was grateful to not have to try to recover sleeping nights at his regular spot – the bus bench at the transit mall in downtown Long Beach. This gentleman is working with Mental Health America to attain housing assistance to get him back into an apartment. One of our clients who recently moved into her apartment was the lucky recipient of a new small refrigerator care of Justin Rudd’s Community Action Team’s 12th Annual Long Beach Giving Project, care of our Board member John Forrest Douglas and his team. 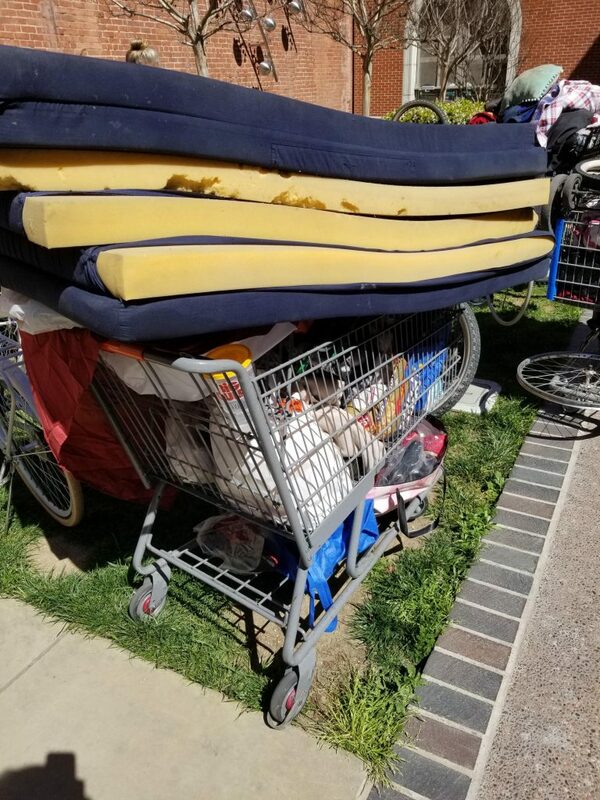 Attached are contrasting photos – two that highlight symbols of the hardship and despair of living on the streets 24/7 and making the most of resources available to survive and the other is of a family we helped move into an apartment just over a week ago. What a difference being stably housed has made for this family.